There was lots of activity in the Digital Lifestyle space in 08 with new devices, services and platforms being launched, and some of our favorites from last year receiving significant updates. One notable trend throughout is the way in which these products and services began to converge. Not in the sense of all-in-one devices, although these do exist, but through hardware, services and content playing nicely, often through open standards, platforms or partnerships, with the Internet acting as a conduit. 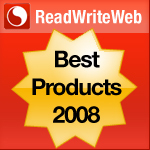 On that note, here’s my pick of the best ten Digital Lifestyle products of 08. The real upgrade to the iPhone this year wasn’t the iPhone 3G but the accompanying App Store. Launched just five months ago, there are now over 10,000 third-party apps available and Apple has seen over 300 million downloads. Part of that success can be attributed to the way in which the iPhone as a platform has galvanized developers, while a second major factor is the simplicity of the App Store itself. As a result, lots of our favorite digital lifestyle-related products services have landed on the iPhone and iPod touch, such as Pandora and Last.fm (Digital Music), Joost (Internet TV), Facebook, MySpace and Twitter (Social Web), as well as location-based services, games, remotes (VLC Player and Sonos) and many, many more. When Netflix starting talking up plans to deliver its online streaming service Watch Instantly to “Internet connected, high definition DVD players, Internet connected game consoles, and dedicated Internet set-top boxes”, we were a little skeptical, especially in terms of time frame. However, in 08 the company has really delivered: Netflix streaming is now available on TiVo, XBox 360, Internet-connected DVD players from LG and Samsung, along with the Roku Netflix Player set-top box. Our initial review of the first Google phone, T-Mobile’s G1, was mixed but the Android OS had us pretty excited. “Without a doubt, the Android operating system is spectacular”, last100’s Daniel Langendorf wrote at the time. “It’s fast, with little or no lag time. It’s responsive, fun to use, and full of promise.” A few months on and we’re still impressed. In particular, Android’s mobile web browser is the best yet post-iPhone and, likewise, the Android Market does a great job of copying the iPhone’s App Store. 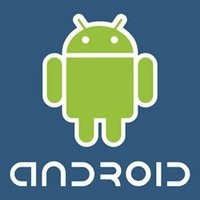 Of course, the best thing about Android is that it’s open-source and, as a result, we’ll see it power numerous new smartphones next year, along with other hardware such as set-top boxes, MIDs and GPS devices. In our extensive review I described Nokia’s E71 as my favorite smartphnone yet. So, admittedly, this one is a very personal choice. 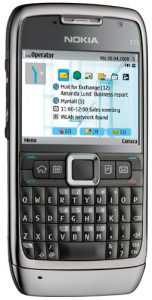 The E71 is roughly the same size as the iPhone but has a completely different form-factor, omitting touch for a more traditional User Interface and enough room to pack in a compact but very usable QWERTY keyboard. Other pluses include the device’s overall responsiveness, bundled applications and a number of welcome improvements to S60’s User Interface, along with decent web browsing and media playback, superb call quality and extremely good battery life. Although online video site Hulu was available in private beta during 2007, it didn’t launch publicly until March this year. Our initial verdict was mixed but since then the Fox and NBC joint venture has become the number three video destination in the U.S. according to Nielsen. Perhaps testament to that success, a number of device makers have released set-top boxes marketing the ability to put Hulu content on the TV, such as ZeeVee’s recently announced PC to TV solution, the ZvBox, and the Neuros LINK. Now if only Hulu would release an iPhone app or, like Netflix, form official partnerships with consumer electronics companies. It was an interesting year in this space… lots of forward progress, but not too many major, explosive revolutionary products or themes. Not sure I’m onboard with the PS3, but maybe that’s because an ATSC PlayTV hasn’t landed in the US. I think Boxee’s one to watch going forward… they’ve got some great ideas and some smart people… if they add DVR capabilities, a Mac Mini could be the ultimate all-in-on television set-top box.